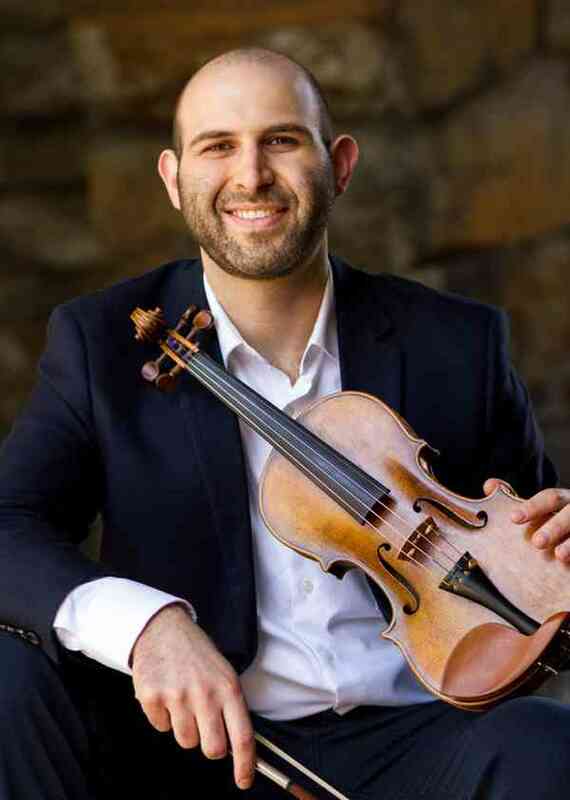 Noah Luft-Weissberg found his great grandfather’s violin in the closet of his childhood home in Niskayuna New York when he was two years old, and it hasn’t left his hands since. He studied with Ann Posner at the age of three and went on to study with Paula Shaw in Schenectady NY as a teenager. At the selective New York State Summer School for the Arts in Saratoga NY, he met the late William Depasquale, former concertmaster of the Philadelphia Orchestra, and became his student through college and graduate school at Temple University in Philadelphia, PA.
Noah is an alumnus of the Empire State Youth Orchestra (ESYO), Festival Orchestral Sinfonica Juvenil dos Americas, and the National Repertory Orchestra. He has Suzuki Method certification from the School For Strings in Manhattan. Temple University’s Symphony Orchestra, Chamber Orchestra, Opera Orchestra, Contemporary Ensemble. A highlight of Noah’s orchestral career was a tour of Northern Italy where he performed at the Spoleto Festival. Branching out of the classical realm, Noah formed the Union Gypsy Jazz Band, Sugar Hill Gypsy Jazz Band, and collaborated with singer-songwriter Nate Danker on his Americana-Indie album Texture. He plays and composes fiddle music, klezmer, and hip hop tunes.